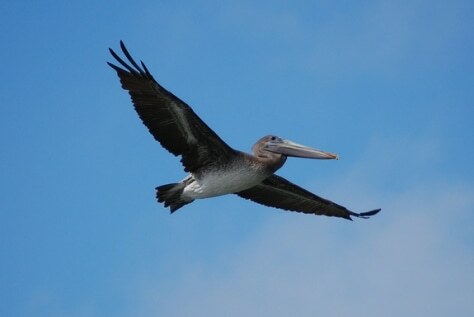 A pelican soars in flight. Pelicans share the "engulfment feeding" stategy for eating with whales. When two animals arrive at the same endpoint — in this case, these feeding structures — via different processes, it's called convergent evolution.